First Saturday Lime is nature’s pest repellent, deodorizer, neutralizer, soil enhancer and so much more. This organic, non-chemical solution is safe, effective, and has a long list of uses. 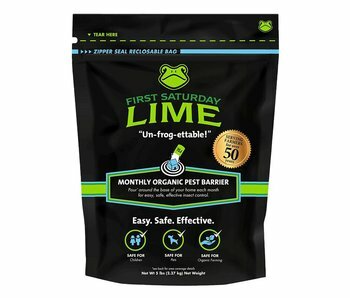 Find First Saturday Lime natural pest repellent safe for cats and dogs at our store in Tampa Bay or shop online anytime.